Australia captain George Bailey was left scratching his head as to how his side was now ranked below Ireland in the Twenty20 rankings after their super over defeat in the second Twenty20 international against Pakistan on Friday. 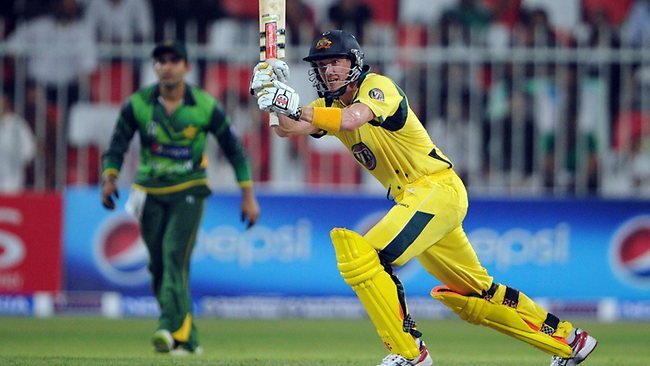 Australia and Pakistan were locked at 151 after 40 overs before the Pakistanis took the match in a super over finish at Dubai Stadium, to clinch the three-match series 2-0. The third match will be played here on Monday. Bailey, however, questioned the rankings system in which minnows Ireland are a place above them. “That does not look good but I am still not sure how the rankings work,” said Bailey of the Twenty20 rankings introduced last year and currently topped by South Africa. “So Ireland goes past us when we haven’t played Ireland in a T20. If Ireland is a better side than us then I guess it will show in a couple of weeks in Sri Lanka,” said Bailey of the World Twenty20 championship starting on September 18. Australia are in Group B of the 12-team competition and open their campaign against Ireland in Colombo on Sept 19.